This is a great interactive inflatable Basketball Game that caters to your competitive guests. Team up for a team building event or go against your best friend for a fun filled time. 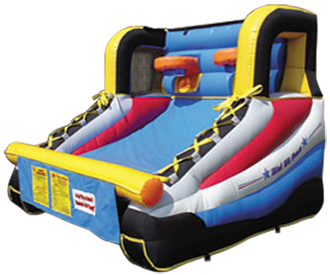 We rent this inflatable basketball game for not only home birthday parties, but it is a SLAM DUNK for Fall Festivals, Spring Carnivals, Fund Raising Events and Corporate Events too.